This beautiful fireplace console presents a unique home for all your electronics and related accessories. Crafted from premium select hardwoods and veneers, the piece features two doors and a center fireplace unit for extended style and design. 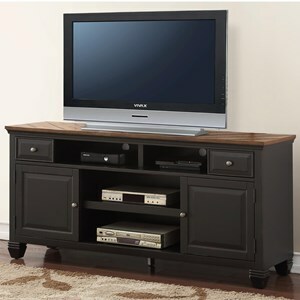 Completed with a rubbed finish and a gorgeous contrasting wood top, this console makes a wonderful addition to your living room space. 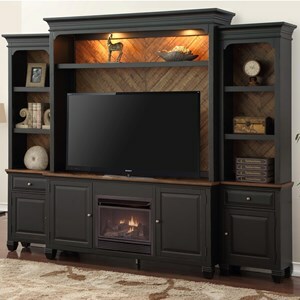 The Brighton 68" Fireplace TV Console with 2 Doors by Legends Furniture at Home Collections Furniture in the Denver, Aurora, Parker, Highlands Ranch, Castle Rock, CO area. Product availability may vary. Contact us for the most current availability on this product. 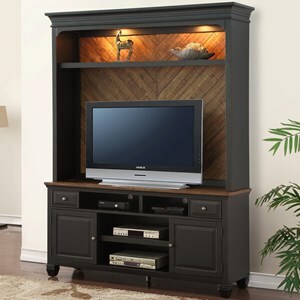 With items crafted of premium wood solids and veneers, and features such as built-in lighting and fireplace consoles, this collection of entertainment wall unit items will completely transform your living room space. The Brighton collection is a great option if you are looking for Transitional furniture in the Denver, Aurora, Parker, Highlands Ranch, Castle Rock, CO area. 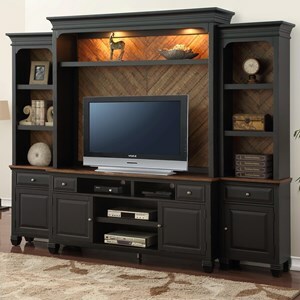 Browse other items in the Brighton collection from Home Collections Furniture in the Denver, Aurora, Parker, Highlands Ranch, Castle Rock, CO area.